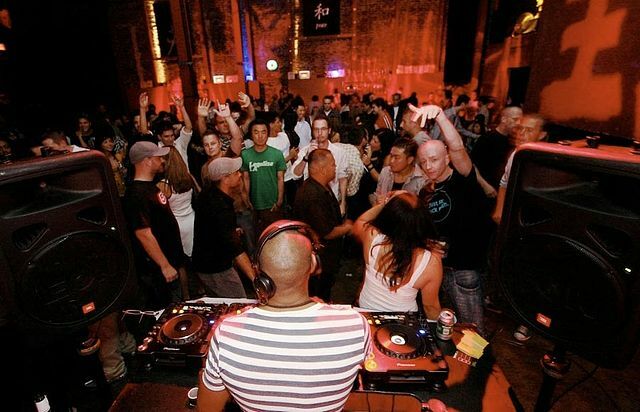 Nightlife in Los Angeles is almost endless in terms of what it has to offer. Whether you want to dance the night away with hundreds or thousands of people, or whether you want to have a romantic and quiet meal, anything is possible. Downtown LA is particularly popular, having a truly vibrant nightlife. Hotels like the Bicycle Casino Hotel are always at hand to point people in the direction of L.A. LIVE or any of the other bars and clubs. Those who don’t fancy Downtown can dress to impress and head to Hollywood instead, considering The Colony, Drai’s or the Universal CityWalk Hollywood. The latter offers anything from Howl at the Moon’s dueling pianos to the Hard Rock Café. Let’s take a look at some of the key things to do during a night out in LA. There is no city quite like LA anywhere else in the world. Downtown LA is home to the very best clubs, such as the Conga Room and Club Nokia at L.A. Live. Alternatively, there is the Exchange LA, which is huge. The Edison and the Mayan Nightclub in Downtown are nothing short of stunning, particularly if you are into steampunk. Those who prefer mixing entertainment with dining and dancing should definitely considering heading to the various Hollywood clubs, often in the hopes of rubbing shoulders with celebrities. The Infusion Lounge will make you feel as if you were transported to Las Vegas instead, meanwhile. If clubbing is not for you, then there are thousands of bars to choose from as well. Many of these have been ranked as best in the country, offering you microbrews, wines, and craft cocktails. If you’re into the latter, consider Sadie, Ray’s and Stark Bar, Drago Centro, or Providence, for instance. The bets bars by far, however, are found in hotels, including the Bicycle Casino Hotel, but also the Spar Room, the Library Bar, Bar Centro, the Polo Lounge, and The Mixing Room. Alternatively, you can try any of the many wine bars like BottleRock, the Corkbar, and the gLAnce Wine Bar. If you’re into beer, you can consider locations such as L.A. LIVE’s Yard House, where there are 160 different beer taps! If you just fancy having a really good laugh, then you’re in for a treat in LA. There are some world-famous comedy clubs for you to attended, with stages that have graced the likes of Lily Tomlin, Bette Midler, Jay Leno, and Richard Pryor. In fact, many of those became famous after their LA performances, attending the Hollywood Improv Comedy Club. You could also go to the Laugh Factory on the Sunset Strip, where people like Ellen DeGeneres, Jerry Seinfeld, George Carlin, and Steve Martin have performed. Or there is the Universal CityWalk Hollywood’s The Jon Lovitz Comedy Club, where Kevin Smith and Adam Carolla have recorded standup comedy podcasts. Last but not least, there is the First & Hope, where you can enjoy Un-Cabaret, pioneered by greats such as Taylor Negron, Dana Gould, and Margaret Cho.